While Pennsylvania was a latecomer into the gambling industry, it has made up for it in a big way. While gambling has been a huge seller in the state since 2010, Pennsylvania has taken it a step further, and decided to allow sports gambling. Online gambling has also been permitted. The state has managed to rake in over $385 million dollars through betting and sports gambling. Pennsylvania was founded by Quakers, who believed in the seriousness of mind, the attention to work, and tolerance of others. Pursuits such as music were thought to be frivolous pursuits. This Quaker notion of frivolity and the belief that gambling was a sin led the state to shy away from gambling. Pennsylvania passed a bill in the early 1970s that legalized a lottery in order to give their citizens aged 65 or older property tax exemption. There was no real movement on gambling until the early 2000s, although several different movements were tried. Riverboat gambling was suggested. Then there was a push for casinos at racetracks—all of the measures failed. However, times have changed in the state. One of the reasons gambling was granted an easier passage was because the state was facing economic shortfalls due to the decline in the industry. Both coal and steel were affected, and led to an economic slide. While opponents were concerned about the impact of gambling on families, the state became more concerned about the ability to pay for families. Pennsylvania passed a law, which allowed for the legalization of casinos and racetracks in the state. 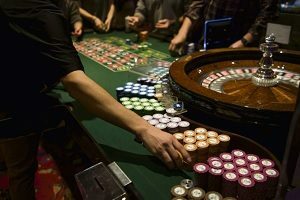 In the first year that the casinos and racetracks were up and running, they were able to rake in over $750 million in revenues, which exceeded every other state in the union besides Nevada. In ten years of casino operations, Pennsylvania saw a huge influx of jobs and income into the state. By 2017, there were 18,000 people employed in the gaming industry, and the industry generated over $1.4 billion in tax revenue. 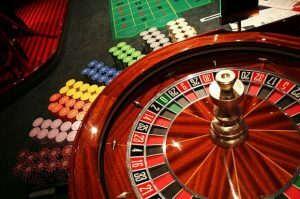 When the state saw the amount of money to be made in the gambling industry, as well as the number of tourists coming to their state, they passed a bill that allowed mini-casinos to be placed at truck stops, bars, and airports. Each location could have as many as five slot machines. Pennsylvania, which has several major league teams in baseball, football, and basketball, has legions of sports fans who wanted to be able to bet on their favorite teams. In addition, the state wanted to consider adding online gaming as an option for its residents as well as people visiting the state. For that reason, the state legalized online gambling, becoming one of the first states to legalize online gambling in the nation. The state also legalized sports gambling in mid-2018. The Supreme Court decided that states could decide for themselves whether to allow sports gaming in their states. The Court ruled that the federal government did not have the power to tell states they could not allow sportsbooks if they existed in the state only. Although the lawsuit was brought by New Jersey, Pennsylvania quickly jumped on board. Their sportsbooks were open at all of their casinos and racetracks by September. Since sportsbooks and online gaming became legal in the fall, they have managed to cash in. Over $385 million in revenue was made in sportsbooks and online sales from September until the end of the year. It will be interesting to see how much money the state will bring in with its new ventures in 2019.